Want to enhance your Yoga Teaching skills and have a blast on the board? Our unique SUP Yoga Teacher Training is the course for you! Swap your mat for a board on our SUP Yoga Teacher Trainings in tropical Bali. Add to your skills and enhance your teaching opportunities by joining the rapidly-growing SUP Yoga community. With SUP yoga’s growing popularity, a SUP yoga teaching certification is a selling point for your yoga business, as well as an opportunity to spread the enjoyment of this amazing way of practicing yoga. Combining SUP with Yoga Asana, Pranayama and Meditation, SUP Yoga is a unique Yoga practice that is becoming extremely popular around the world. SUP Yoga can be practiced on any calm water surface – ocean, lake, canal or even in a swimming pool, making it a flexible teaching option. SUP builds core strength, balance and stamina – combined with Yoga poses the whole body and mind are challenged by intense focus, concentration and self awareness. The perfect meditation in motion, floating on the water. While this unique practice often intrigues yoga instructors, many feel overwhelmed with the practical considerations of smoothly running a class. This course explores all these concerns, leaving students fully-equipped and confident to teach. This SUP Yoga teacher training will offer 20 hours CEU from Yoga Alliance and will demonstrate your competence in handling a class of this nature to your prospective students. We invite you to come join us on this two-day course. Be prepared to get wet, be prepared to have fun but most of all be prepared for an experience of a lifetime! Curious about opportunities for teaching? Read about our past student who now runs a successful SUP Yoga Business here. This course is for graduates of a 200 hour Yoga Alliance certified training with Santosha or from another school. It is not necessary that you are an experienced paddle boarder to take this course. SUP is surprisingly easy to master, and by the end of our course you will be a confident paddler. However, if you are able to practice before taking the course, it will help you feel more confident during your asana practice. On completion of this 2 day training program, students will feel confident to deliver SUP Yoga classes and will learn how to launch their own SUP Yoga business. Our experienced trainers will share their knowledge and skills to enable you to become a confident SUP Yoga teacher. During the two days of the course, we will cover all theory and practice needed to teach fun, safe and effective SUP Yoga classes. Chantal is a Certified RYT-200 Yoga Teacher, Group Fitness instructor, ISA Stand Up Paddleboard Instructor, ISYA Sup Yoga Instructor Teacher and is specialized in teacher training. Her love of Yoga and the ocean has brought her to a natural path of fusing Stand Up Paddleboard and Yoga. Chantal now runs SUP Yoga teacher training all around Asia. With her background as a registered mental health nurse and counselor, Chantal has had many years of helping people deal with the challenge of living in this modern world. Becoming more involved in Yoga over time, she saw the correlation between nurturing the body and soul in Yoga and mental health therapy. She has taken this to the water by applying Yoga and SUP while focusing on mindfulness of the ocean and its therapeutic benefits. Chantal brings a nurturing element, yet her energy and passion for yoga is felt during the popular SUP Yoga retreats and SUP Yoga Teacher training. 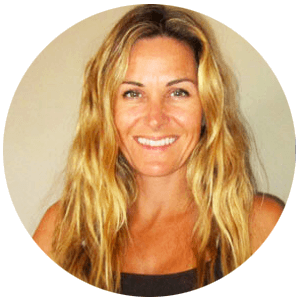 Having lectured at university and with formal qualifications in training and assessing, Chantal delivers a leading SUP Yoga training program. Upon completing this course, you will be equipped to practice safely and teach others in a range of diverse settings. This course allows you to gain 20 Continuing Education Hours with the Yoga Alliance, and all Santosha graduates are offered support on their teaching journey. 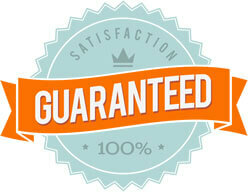 We guarantee you will leave us with a wealth of knowledge, a smile on your face and a warm, open heart! Please note there is a $350 AU non-refundable deposit included in this price, which cannot be returned in the event of a cancellation on your part. Santosha is the first school to offer a SUP Yoga certification outside of the Americas! Santosha is one of only five schools to offer a SUP Yoga course certified by Yoga Alliance in the whole world! Santosha’s SUP yoga course is very comprehensive and specifically designed with the whole 8 limbs of yoga in mind, offering you a well rounded holistic experience. Santosha offers two complete SUP Yoga classes as part of the course. Please enquire to receive the “Practical Information” guide for further information about the SUP Yoga Teacher Training. Attend our SUP Yoga YTT course, and in the extremely unlikely event that by lunchtime on the first day, you feel that you do not want to complete the course OR you do not want to become a Yoga Teacher, we will refund your money minus the non-refundable BUT transferable deposit fee.